If there is anything we know for sure about Noah Hawley it's that typical is not in his vocabulary. If anything, his resume over the last few years includes some of the most interesting, risky storytelling on television (see "Fargo" and "Legion"), and now he's dipping his fingers into the feature film world. 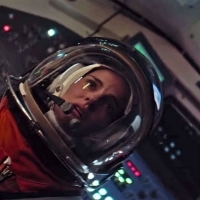 Lucy in the Sky stars Natalie Portman as Lucy Cola, an astronaut who returns to Earth after a mission only to find the day-to-day of her life mundane and she begins to lose touch with reality. Jon Hamm, Zazie Beetz, Tig Notaro, Ellen Burstyn, Nick Offerman and Hawley regular Dan Stevens all co-star. It's not only an interesting story idea but Hawley's style and approach to storytelling are likely to make Lucy in the Sky a tad more interesting than the average drama. Plus this cast certainly has the talent to pull off something uniquely different. No date has been set but Lucy in the Sky is due to open later this year. That does look pretty interesting.